The allure of the lure in fly fishing can turn novices into fanatics in a heartbeat. Often from that first cast-off, a fisherman is born. Veteran fly fishermen explain fly fishing as about much more than just standing in a river and trying to catch a fish. They socialize and indulge in conversation about the fast pace of life, having to schedule and allow specific time for every activity. Fly fishing is the opposite though, it's about falling in time with the rhythm of nature. It is this peaceful pace that fly fishermen worship with every line-cast and tie of a knot. While the peaceful artistry of fly fishing is the main draw for many anglers, they still want to be successful and return home with a catch or two. When it comes to productive fly fishing, understanding the fish, nature, seasonal changes, water conditions, the advantages of different fishing techniques, equipment and bait will help you in your quest. To ready yourself for your fishing ventures, do a little research beforehand with these 9 books on fly fishing. 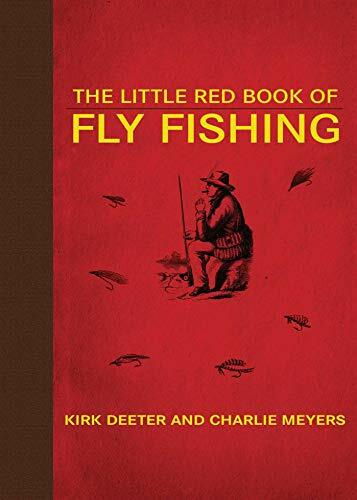 In The Little Red Book of Fly Fishing, renowned nature journalists Charlie Meyers and Kirk Deeter have transformed their fly fishing notebooks into an informative source of fly fishing advice and guidance. Their strategies and advice are based on both new and old experiences, interviews with fishing experts, and fishing travel ventures with guides. Deeter and Meyers use their book to take the mystery and complexity out of the sport of fly fishing as they simplify it and break it down to the basics: presentation, casting, water reading, and fly selection. With 240 fly fishing tips, this Little Red Book is a collection of valuable tips ideal for both novices and veterans. The language is plain-spoken, easy to understand, and straightforward to follow. For those of you wanting a handy resource guide to the basics of fly fishing, Myers and Deeter have hit the mark. 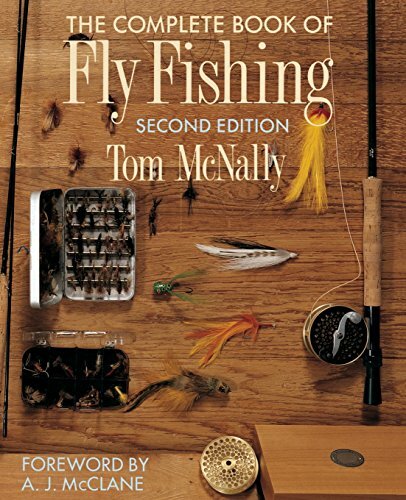 The Complete Book of Fly Fishing by Tom McNally covers fresh and saltwater fly fishing. It discusses the best equipment to use and numerous techniques. This fly fishing book is ideal for those who enjoy a visual read as it is chock full of diagrams, charts, and photographs. McNally includes an extensive section on knots and leader design, something many fishing books omit. If you want to hone your fly fishing strategy and technique, The Complete Book of Fly Fishing could be the perfect addition to your library. 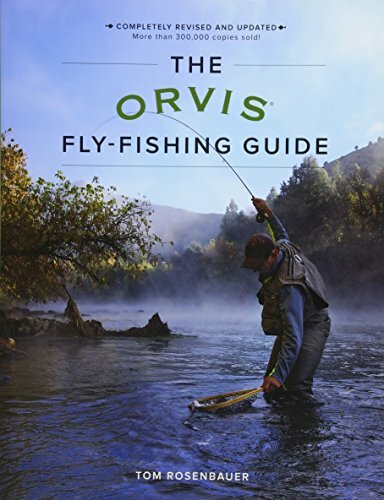 The Orvis Fly-Fishing Guide by Tom Rosenbauer is a bestseller for a number of reasons. It covers all fishing abilities as it appeals to novices and veterans alike. Ideal as both an intro or refresher on fly fishing, this guide drives home the importance of knot-tying, caring for waders, and fishing in challenging currents. This guide contains the most recent and updated information on how to choose your tackle, rods, lines, reels, knots, and leaders. It also features line drawings for guidance provided by Bob White. Included are hundreds of fly photos in full color. Tactics of presentation, playing, landing and striking are covered meticulously in a stream, saltwater, and still water. Newer techniques like Czech Nymphing and Tenkara are discussed. Fishing all the major game fish from trout to salmon and steelhead are discussed at length with different strategies for different fish featured. 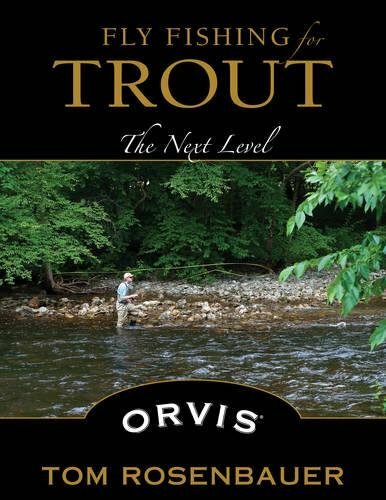 If you want to be privy to all fly fishing strategies, old and new, you will have much to learn from this guide, including a unique chapter on stream etiquette, conservation, and giving back to the nature fishermen treasure. 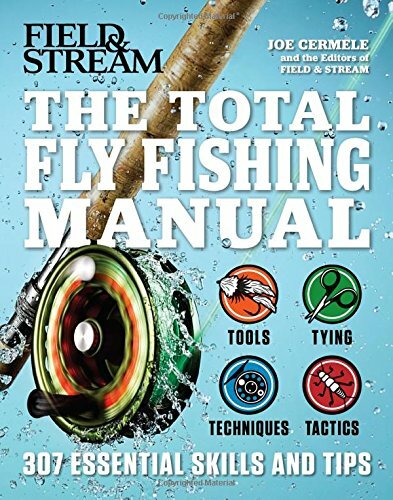 Fly fishing fanatics have been waiting on pins and needles for the release of The Total Fly Fishing Manual. Within its pages, this manual contains 307 tips and tricks provided by some of the most expert anglers around. The comprehensive compendium of expert fly fishing advice covers all areas of fly fishing from gear reviews to old and new strategies for successful fly fishing in saltwater and freshwater. Large sections are dedicated to the best tools of the trade from the best ties, reels, knots, lines, flies, and tailing loops. Night fishing, reading the water and to knowing exactly where the fish are biting are included in the guide . Regardless of what you are fishing for - trout, salmon, bass, or carp - this book can help you get that prize catch you've been dreaming about. 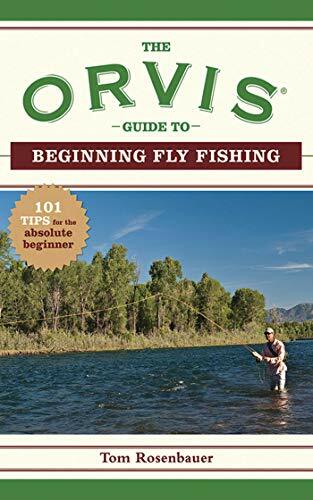 The Orvis Guide to Beginning Fly Fishing is an excellent introduction to the sport of fly fishing. 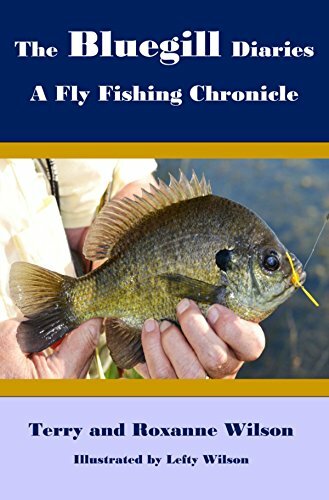 The author quickly and easily informs his readers on how to hone their fly fishing techniques. Being in harmony with nature while fly fishing can be a life-long escape for fly fishermen while perfecting their skill and fishing acumen. This guide contains everything needed for new anglers to evolve into experienced and confident fly fishermen. 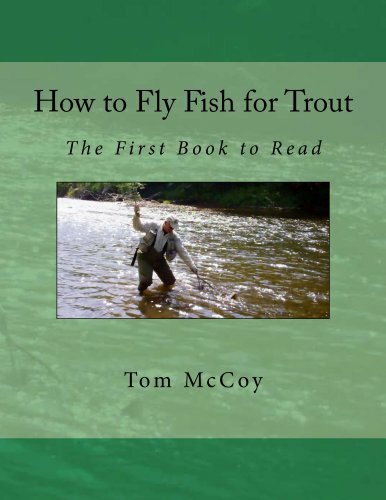 How to Fish for Trout by Tom McCoy has been praised as much for the information it leaves out as what it includes. While many books aimed at beginners overwhelm by bombarding readers with cumbersome and complicated strategies, McCoy provides novice anglers with just enough information to get them started. This book works under the assumption that when starting out, simplicity is best. The strategies provided will get you out on the water, catching fish, and ignite the desire to learn more. In the 'Fish Tales' section, McCoy provides true anecdotal stories that highlight specific strategies and techniques. He also includes a list of some of his top location picks for fishing trout. 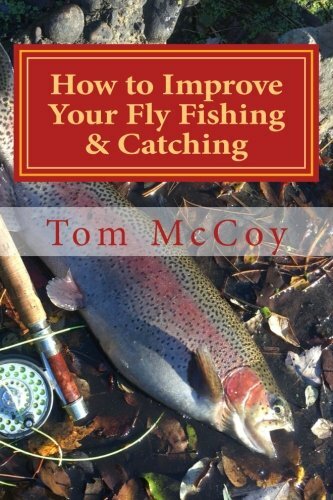 How to Improve your Fly Fishing and Catching by Tom McCoy contains 30 easy-to-follow tips. Each tip is a brief snippet of valuable information aimed at getting you focused. The tips reaffirm what it is you need to do to catch a trout at the moment. The book also is a good starting point, as it suggests further reading. Like most things in life, the sport of fly fishing is always changing and evolving. Keeping up to date on the latest and greatest in fishing innovations will help fishermen of all levels increase their enjoyment of the sport. Spend some time on the water, get acquainted with the sport, then read this fly book to propel you farther along. The Bluegill Diaries by the Wilsons is a great and entertaining read. Compiled from diary entries retelling their experiences of over 4,000 fishing trips that span over 50 years, they learned much in their quest for the Lepomis Machrochirus (bluegill). This book includes their successes and failures, so their readers can learn from the ups and downs of fishing just as they did. They cover every kind of fishing challenge in every season. By following the advice gleaned by the Wilsons in their life-long pursuit of the bluegill, you too can increase your catch and size of the coveted bluegill. Fly Fishing for Trout by Tom Rosenbauer answers the common question facing many anglers: how to take their fishing game to the next level. With over 40 years in the fly fishing industry, Rosenbauer knows his craft. In his book, Rosenbauer answers the most frequently-asked questions of anglers wanting to up their game. He advises them on casting and rigging techniques while guiding them towards a more sophisticated and honed understanding of fly fishing. When it comes to fly fishing, there are numerous strategies, techniques, and philosophies to apply. From boat fishing to stream and river fishing, fresh and saltwater, there are plenty of fish out there just waiting to be reeled in, cleaned, eaten, or mounted. Whether you are just getting your toes wet in the fishing world, or are a well-seasoned fly fishing veteran, these 9 books about fly fishing can help you get started or dial up your current fishing game.